Glu Mobile is having an incredibly rough time in the market today. In fact, the stock is down more than 11% at the moment, and things are looking bad… or are they? After a more than 60% climb last week alone, one has to ask themselves, “Should I be concerned about the declines?” In my opinion, the answer is no! 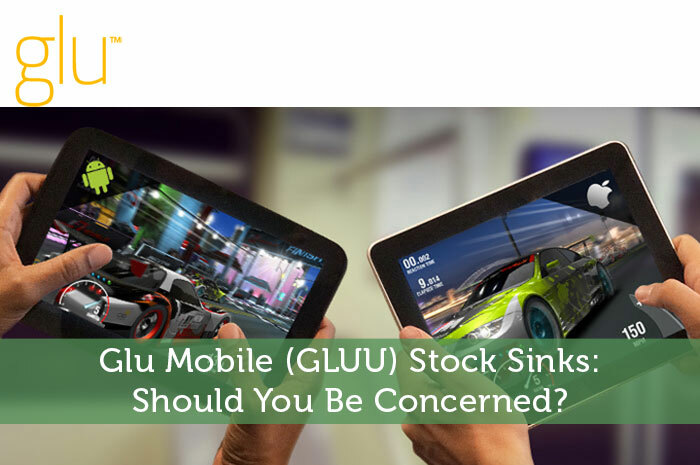 Today, we’ll talk about why GLUU is falling, why you shouldn’t be concerned, and what we can expect to see from the stock moving forward. After seeing that Glu Mobile was down by more than 11% today, I decided that it was time to do some research to see what was causing the declines. However, in doing this research, I found that there was no negative fundamental news published… at least not in Google, Bing, or Yahoo! So, what’s causing the declines? Well, believe it or not, the answer is relatively simple. What we’re seeing on the stock today is nothing more than a correction. You see, the market tends to move through a series of overreactions, and over the past week, we’ve seen more than 60% growth on GLUU. Sure, there was good reason for the stock to climb, but 60% worth… well, I’m not quite sure about that! The reality is that asset specific corrections happen in the market all the time. After massive gains on a stock, it’s not uncommon at all to see relatively large declines. These declines bring the value of the stock down to a more sustainable rate before growth continues. When it comes to GLUU, that seems to be exactly what’s happening. So, while we may be seeing declines today, the trend isn’t likely to last very long. Watch closely over the next few sessions and you may be surprised by the growth that’s likely on the way. Moving forward, I have an overwhelmingly bullish expectation of what we can expect to see from Glu Mobile. The reality is that the company has carved out a niche for itself that has proven to be overwhelmingly profitable. So, what’s the niche? Well, it’s celebrity video games, the first of which was actually what put GLUU on the map in the first place. A few years, ago, the company published a game in partnership with Kim Kardashian. The game was titled “Kim Kardashina: Hollywood”. So, what’s so special about the game? Well, it’s Kim Kardashian… she’s famous so people flock to whatever she promotes. In fact, this idea has been overwhelmingly successful, clocking more than $100 million in revenue for GLUU to date. So, is Glu Mobile a one hit wonder? Not in my opinion. In fact, the company has learned from its success with the Kim Kardashian: Hollywood game. As a result of the success, the company plans on launching a new line of freemium video games, featuring other celebrities. In fact, GLUU has launched a couple celebrity games since including “Katy Perry Pop” and “Kendall & Kylie”. Not to mention, there are more games on the way. GLUU recently signed contracts with Britney Spears and Nicki Minaj for games that are expected to be overwhelmingly popular. Considering the plan moving forward, I’m expecting for GLUU to climb in the market as revenues soar! What about stock dilution from Tencent? I’ve been following/owning this stock for over two years and there is a lot of manipulation that takes place with this stock. It’s down again today, another 6.5% and counting, all on about $7m worth of trades. When volume dries up, this stock drops on low volume orders. Lots of them. I think that a person or hedge fund with as little as $1m can basically control the action of this stock on low volume days.